Public awareness campaigns targeting human trafficking can be messy and imperfect, but we also see positive examples grounded in respect and lived experiences rather than in rescue attempts by self-appointed saviours. As campaigners we must not reinforce preconceived notions of human trafficking and what a typical victim looks like. When we speak of public awareness campaigns, we often fail to recognise that the public is not a monolithic, homogenous mass. Rather, it is comprised of diverse demographics with varying levels of knowledge of trafficking, and who are motivated by different arguments and approaches. One person may be moved by appeals to human rights, another by a corporate social responsibility stance, and others by religious beliefs. Too often, ineffective campaigns struggle to move beyond one type of argument and, in turn, end up either alienating certain audiences or missing them all together. Moreover, human trafficking awareness campaigns have been historically uneven in their coverage of the different forms of trafficking, with most campaigns focusing solely on women and girls who are trafficked for sexual exploitation. This narrow focus creates a hierarchy, wherein some forms of trafficking are worse than others. Some research has shown that campaigns reflecting this hierarchy can decrease blame towards victims of trafficking for sexual exploitation but increase blame towards victims of labour trafficking. This makes it more challenging to talk about overlooked issues like the trafficking of men and boys for sexual exploitation, the exploitation of women labourers in the seafood and palm oil industries, or how transgender people are impacted by trafficking. As campaigners, we must focus on forms of engagement that teach people to think – not reinforce their preconceived notions about human trafficking and what a typical victim looks like. The saviour complex stands in contrast to a grounded understanding of trafficking and its intersections with race, ethnicity, socioeconomic status, religion, and gender. Campaigns targeting human trafficking continue to be plagued by models introduced by western saviours who lack understanding of and respect for the global south, resulting in imagery depicting people of colour in chains, mute, unable to speak for themselves or to speak back. The saviour complex thrives when communities can’t represent themselves effectively. The saviour complex thrives when communities can’t represent themselves effectively. So how can we encourage the public to counter the saviour mentality? For one, it is essential to be reflexive and look at who has the power to speak. Organisations based in the global north but who campaign in the global south need to recognise the historical imbalance of power and that campaigning must not be a one way street. It has to be about placing the voices of those who are directly affected – such as migrant workers, people of colour, domestic workers – at the centre of a campaign from start to finish. At the same time, we must capture the diversity of local viewpoints and not romanticise the global south as a single or uniform community. Secondly, as Sameera Hafiz rightly notes, human trafficking is at the “extreme end of a continuum of labour exploitation”, but that does not mean it is the only issue at hand. We should see human trafficking as an entry point that allows us to talk about a wider range of related abuses rather than using as a threshold for victimhood. In the case of domestic work in particular, this framing illuminates intersecting abuses and manifestations of labour exploitation, misogyny, and xenophobia which, when compounded, can result in human trafficking. As Walk Free’s former campaigner in southeast Asia, I aimed to counter the saviour dynamic by re-centring local knowledge. Specifically, in partnership with the Indonesian NGO Migrant CARE, we designed a bilingual campaign to prioritise the domestic workers’ bill that was making its way through the Indonesian parliament. Up until this point abuse of domestic workers was assumed by many to affect only those who migrated abroad, and without a law enshrining their rights they had no protection against extreme forms of labour abuse taking place within Indonesia’s borders. To correct public misperceptions we launched video interviews with domestic workers, employers, members of the public, and a representative of parliament. All confirmed the need to recognise domestic work as formal work. By raising awareness of the problem we hoped more people would mobilise around it and pressure parliament to act. Here, awareness and advocacy go hand in hand. By setting the tone that domestic workers could speak to their lived reality, we hoped that followers signed our petition not because they felt sorry for or wanted to ‘save’ these women, but because they respected them and supported their fight for justice. In the end we collected over 28,000 signatures supporting the domestic workers’ bill from people in Indonesia as well as elsewhere around the globe, from Guyana to Qatar, Nigeria, and Nepal. In the end, we delivered the petition to the head of parliament’s labour commission. The bill was subsequently prioritised but has not yet passed. Despite this final hurdle, I would argue that this campaign is nonetheless an important step in the right direction. At IOM X, we want domestic workers to know their rights, governments to ratify the ILO’s Domestic Worker Convention (No. 189), and recruiters to stop exploiting workers. But individual employers also have their own role to play, especially because of uneven power dynamics in the private sphere of the home. Recognising this, we created ‘Open Doors’, a 3-part short film series on the complex challenges experienced by migrant domestic workers and their employers in several different countries. They model positive behaviours that employers can adopt and stress that these practices are essential to creating a respectful and professional environment. 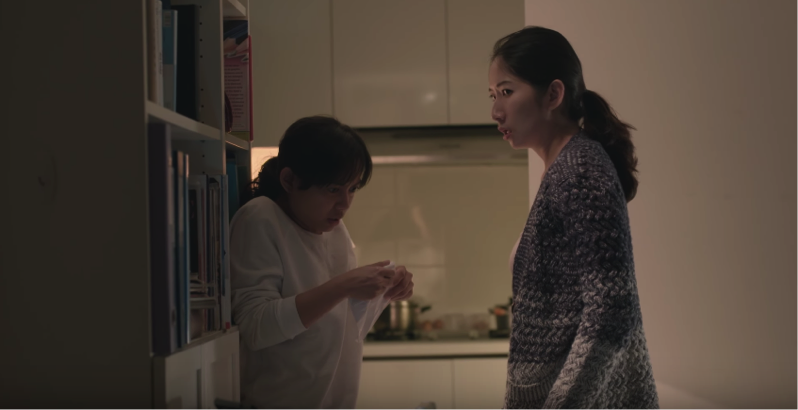 Impact assessments saw that more than half of viewers in Thailand learned something new and would talk to another person about domestic workers’ rights, and all three videos saw an increase in positive attitudes towards domestic workers. This isn’t to say Open Doors was perfect. In one country, for example, viewer surveys revealed that employers of local domestic workers were less likely than employers of foreign domestic workers to respect their labour rights. Still, as one Indonesian viewer told us, we can’t just focus on abuse. Stories of respect and professionalism between employers and domestic workers also need to be told in order to highlight a positive alternative. Notably, Open Doors never uses the word ‘trafficking’, but instead depicts the root attitudes and behaviours that then enable it to happen. As an anthropologist and activist, I’ve realised that it is easy to problematise campaigns and organisations as an outsider looking in, but it is much harder to acknowledge these criticisms and take them into account when designing and executing a campaign. Many of us campaigners are cognisant of these critiques, but we look to them as feedback for improvement rather than a source of immobilisation. The truth is that public awareness campaigns will continue to exist, so we must learn to fix them and accept that this will be a messy, imperfect journey. Awareness campaigns can – and do – change perceptions and encourage acts that mobilise public pressure and pave the way for major changes. While some campaigns suffer from various entanglements with the saviour complex, this is by no means true of all campaigns. Members of the public are rarely going to be the ones drafting a new government labour law, writing a company policy on respecting labour unions in supply chains, or even helping NGOs reintegrate victims of trafficking into society – but they can make these things priorities for those who will.